Remember all your high school chemistry classes? Me neither, but I do remember a thing or two. If I asked you what a nucleon is, you might say it’s the nuclear powered concept car from 1958, or perhaps the center of an atom, or even the incredible fuel source for Transformers. All three would be correct, but now you can add a fourth to the list: back protector. Back protector? Yes, back protector. 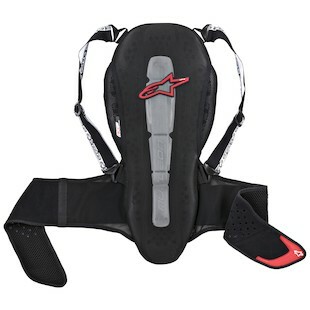 For spring 2015, Alpinestars is expanding its line of back protectors with three new standalone models. First up, we have the Alpinestars Nucleon KR-1 Road Back Protector. As the name suggests, this one is for the street rider and sport tourer. Replacing the Bionic and Bionic Air, the KR-1 full height back protector is lighter than and half as thick as its predecessors while exceeding the CE Level 2 safety rating. CE Level 2 requires energy transfer to not exceed 9 kN of force. The KR-1 is able to reduce energy transfer to 6 kN. It’s also temperature stable, which means it still works well in the cold. When it’s warm, the Airflow Comfort Concept provides massive ventilation. The KR-1 has a large grid shell with semi-rigid hard shell construction combined with energy-absorbing viscoelastic memory foam. Additionally, it includes removable shoulder straps and a height-adjustable kidney belt. It even accepts an optional tailbone protector and KR-C chest protector harness. 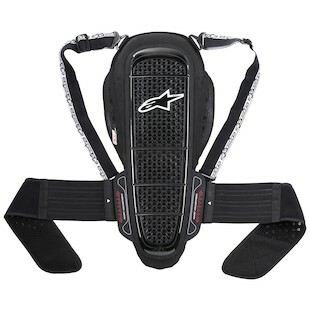 Next, we have the Alpinestars Nucleon KR-2 Adventure Touring Back Protector. 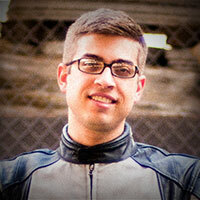 If you ride a GS, Tiger, or Tenere, this one’s for you. Like the KR-1, the KR-2 comes in lighter and almost half as thick as its predecessors as well while still passing CE Level 2 at 7 kN. More affordable than the KR-1, the KR-2 has a fixed kidney belt but does have removable shoulder straps. It’s also compatible with the optional tailbone and chest protection. Again, the KR-2 uses the Airflow Comfort Concept to provide a lot of ventilation. 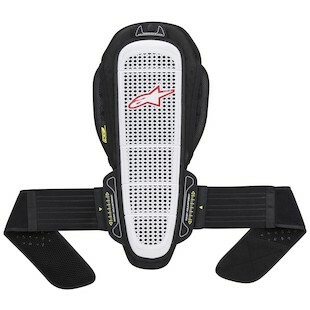 Last but definitely not least, we have the Alpinestars Nucleon KR-R Race Back Protector. For you track junkies, the KR-R is a competitive CE Level 2 race option. Like the other two new models, it’s light and thin. It passes the impact test at a low 6kN too. It has a vented, height-adjustable kidney belt, and as it is designed for use in a race suit, it forgoes the shoulder straps to reduce bulk. It’s also upgradeable for tailbone protection, and like the KR-1, it’s cold temperature stable as well. All three back protectors are welcome additions to the market. All meet CE Level 2 for impact protection though with varying levels of creature comforts. Whether you’re into adventure touring, sport touring, or track days, the Alpinestars Nucleon KR-1, KR-2, and KR-R are ready to keep your atomic structure intact.